Hey kids! Do you like cell phones? 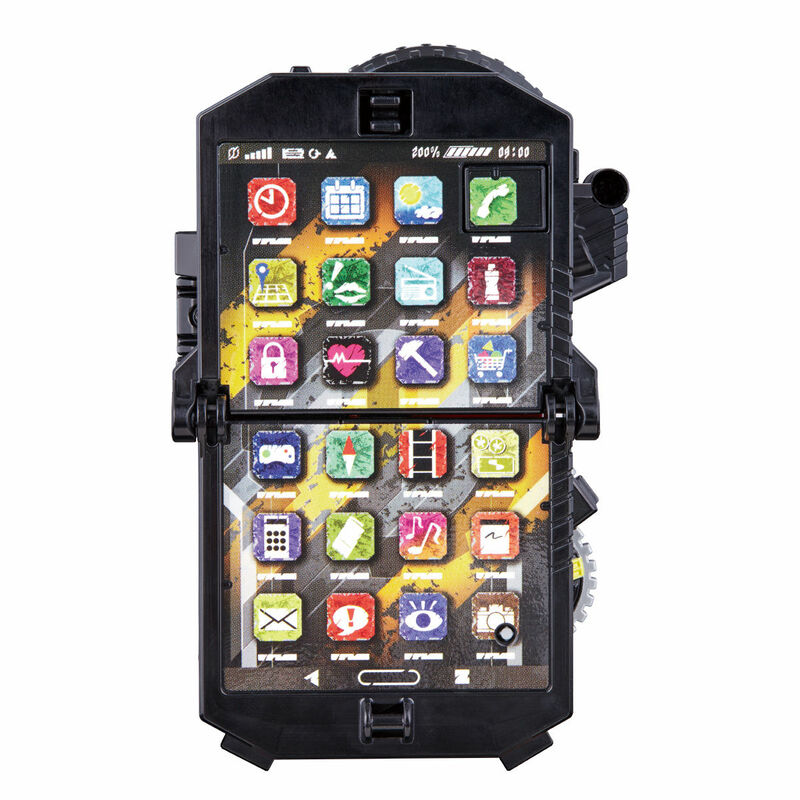 Do you like transforming robots? 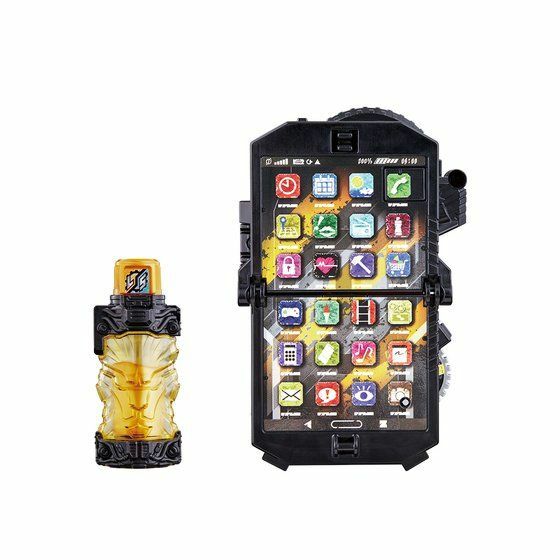 Then you’re in for a treat – because Bandai Japan has released official images of the upcoming DX Build Phone from Kamen Rider Build! 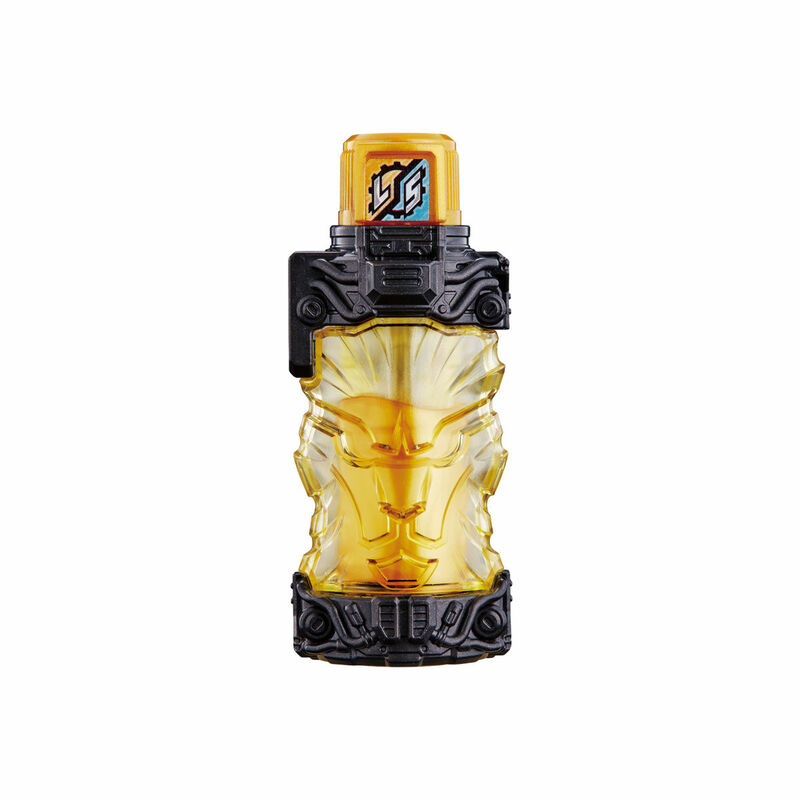 Use the DX Lion Full Bottle and transform the phone in to a bike for your Kamen Rider Build action figure to ride on! 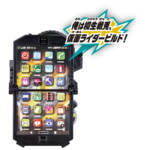 The DX Build Phone will release in mid November for the price of 3800 yen. 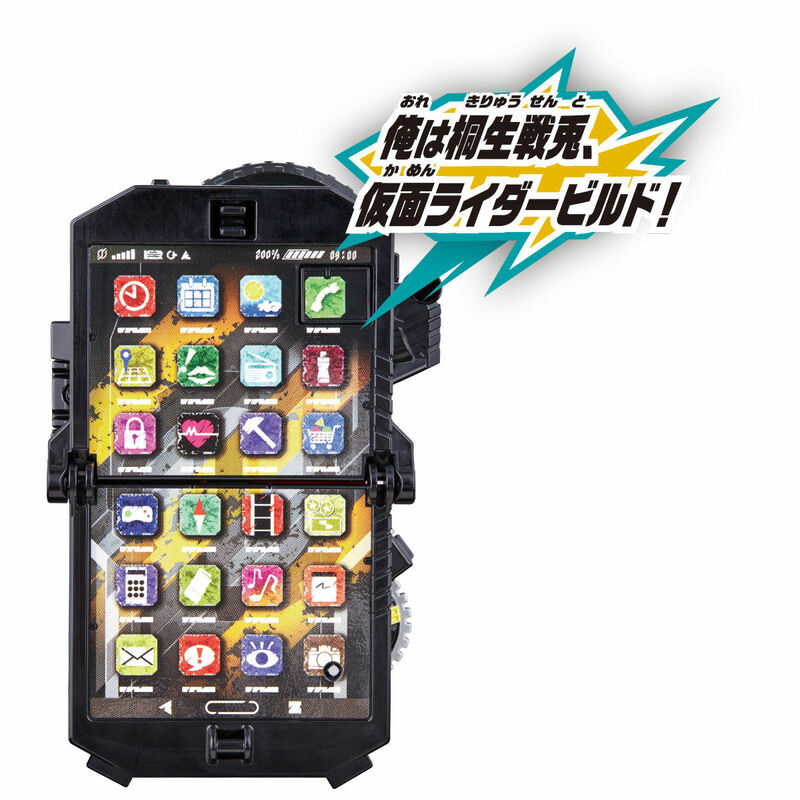 Click the title of the story for all the official images. The laziest bike designed ever. Ghost bike was even nicer than this. Yeah, that's pretty terrible. 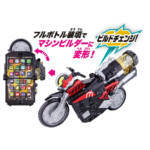 I hate when bikes are nothing more than an afterthought, with a gimmick in mind especially. 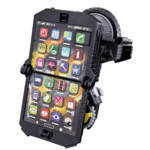 That gear/buzzsaw thing looks like a safety hazard. 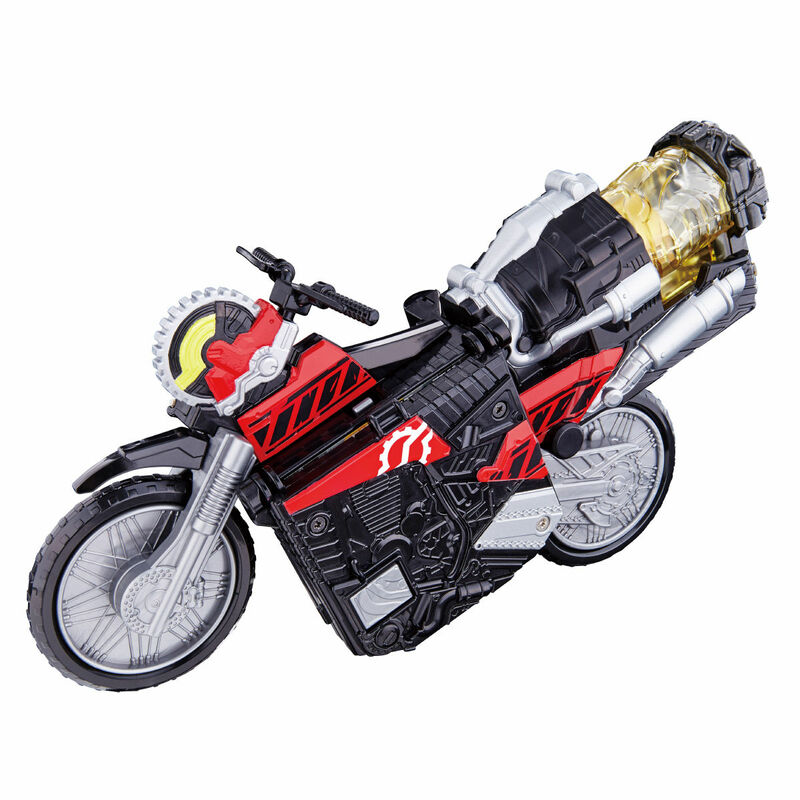 Other than that, I love how the full bottle looks like a keg full of energy drink hooked up to a dirtbike. 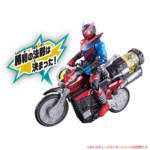 Hmm....the bike design looks blocky. I don't like it. 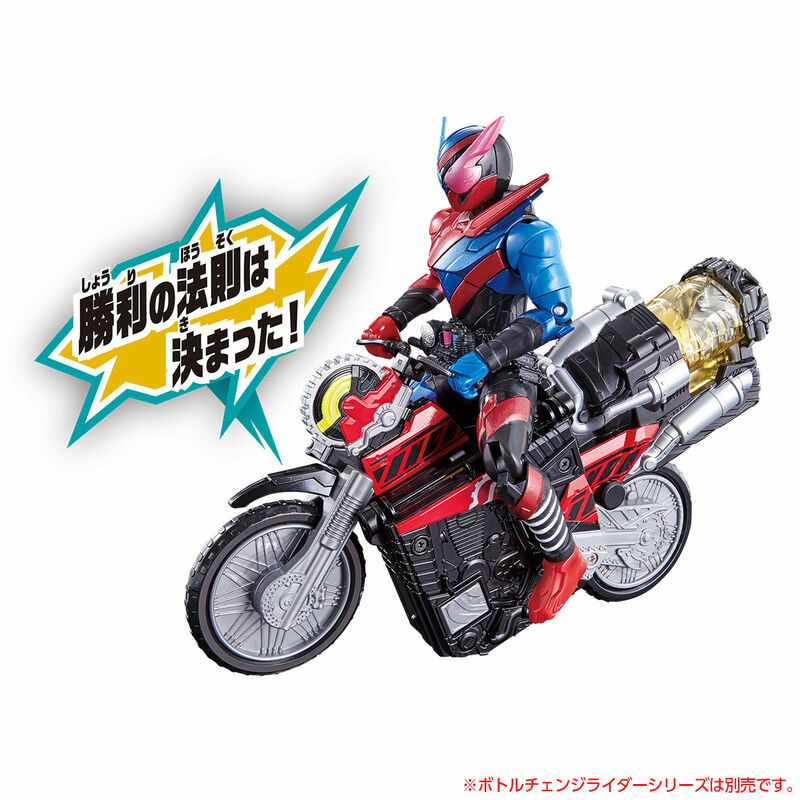 But the actual bike in the show looks better than toy version.